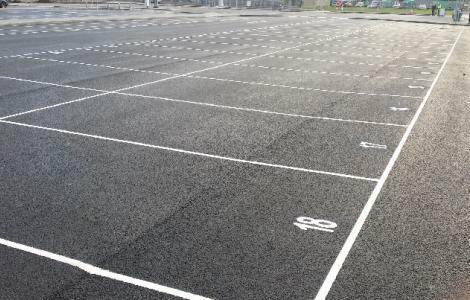 Our extensive experience with marking Car Parks enables us to provide a Design & Application service for all types of markings from small car parks right through to multi-storey car parks. With the introduction of Pay & Display parking and the requirement to ensure that Disabled Parking Spaces are strictly reserved for use by Disabled Drivers, we have introduced a durable, visible and hard wearing solution to assist our clients with Disabled Parking. With the introduction of Electric Cars, we have introduced a durable, visible and hard wearing solution to assist our clients with E-Car Parking Spaces.